120 Days Same as Cash $282.75 - Deals Abound at UHR. 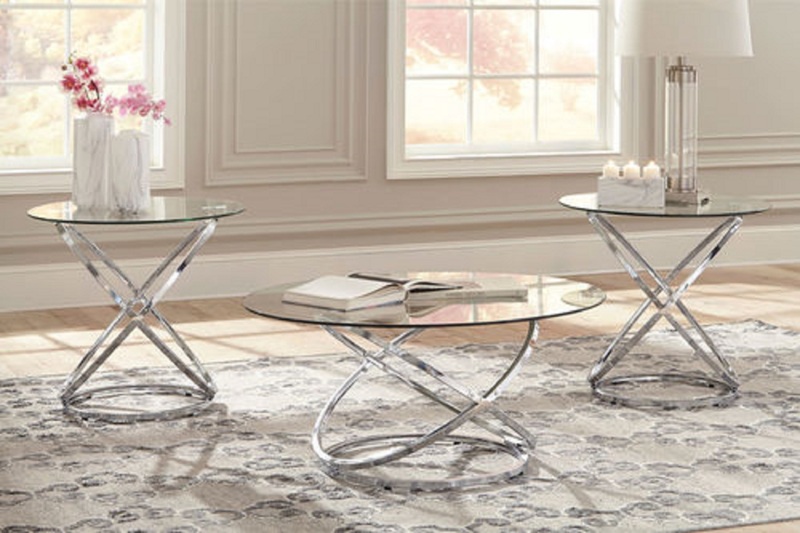 COFFEE TABLE SET: Poised and polished, these tables look stunning together. SET OF 3: Center cocktail table measures 38" W x 38" D x 18.25" H, and 2 end tables each measure 26" W x 26" D x 24"